Fast Heart Beat During Pregnancy: Why Does It Happen And Is It Normal? Is it normal to have a high heart rate when you are pregnant? How fast is the heartbeat throughout the pregnancy? 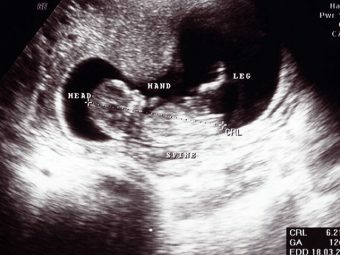 Is fast heartbeat during pregnancy harmful? 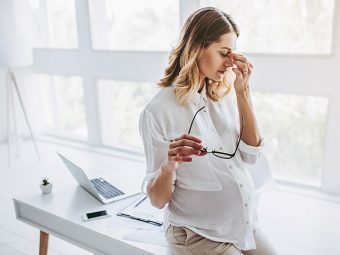 How to deal with fast heart rate during pregnancy? An average person’s heart beats 60 to 100 times in a minute (1). Anything beyond this range is considered a fast heartbeat that results in episodic heart palpitations during pregnancy. With a fast heartbeat, you might feel like your heart is pounding, fluttering or racing. 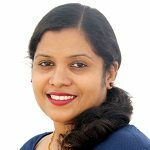 Read this MomJunction post to understand fast heartbeat during pregnancy and ways to find relief from it. Increased heart rate reaching up to 100 bpm (beats per minute) and above is normal. The condition is referred to as tachycardia and is a common occurrence during pregnancy (2). Your body is nourishing another life within and requires more oxygen and nutrients, thereby making your heart work harder to pump in more blood for it. Other factors could also lead to faster heartbeat during pregnancy. Find out about it next. Changes in heart and blood flow: Your uterus requires more blood to supply enough oxygen and nutrients for the baby’s growth and development. As a result, your heart provides around 30 to 50% more blood than usual (3). Therefore, the normal heartbeat which is 60bpm to 80bpm increases by 15bpm to 20bpm throughout pregnancy, and reaches the maximum around the third trimester (4). Anxiety: It is normal to worry about your baby and your safety during delivery, and about the overall responsibility of carrying another life. Anxiety can cause increased heartbeat (5). Changes in the uterus size: The uterus increases in size to hold the growing fetus, and requires more blood supply for it (6). This leads to the heart working or beating more than usual to pump the extra blood for the uterus. Changing breasts: The mammary glands start to function while you are still pregnant and prepare the body for breastfeeding. As the breasts expand and the tissues enlarge, the mammary blood flow also increases, which means the heart has to pump more blood than usual (7). Medical conditions: Thyroid disorders (8), anemia (9), preeclampsia (10) and heart issues such as coronary heart disease and pulmonary hypertension will stimulate heartbeat during pregnancy (11). Other pregnancy effects: Weight gain, hormonal changes, and side effects of pregnancy medications will exert strain on the circulatory system, causing increased heart rate. Lifestyle factors: Cigarette smoking, alcohol abuse, and over-consumption of caffeine will also create a rise in the heart rate. If you experience these symptoms frequently, seek your doctor’s help. Your doctor will examine you thoroughly to check if they are regular pregnancy changes or not. The heart’s functioning varies according to the trimesters, which also affects the heartbeat. The heart rate starts to increase from the 7th week, and it peaks by 10 – 20% by the third trimester. The stroke volume (amount of blood pumped from the heart) increases by 10% in the first half of pregnancy and reaches to its peak around 20 weeks that will remain stable until term (13). Accelerated heart rate is a sign of a healthy pregnancy. It shows that your body is working correctly to meet the demand for oxygen and nutrients needed by the developing baby. As long as other harmful symptoms do not accompany a rapid heartbeat, it is not a concern. Although increased heartbeat is a normal physiological process, you might adapt to some lifestyle changes to keep your health and your baby’s in check. Try to stay calm and beat stress by occasional intake of chamomile tea or aromatherapy. Get enough sleep at night regularly, ensure it is undisturbed. Practice relaxation techniques such as yoga and meditation. Drink enough water to remain well-hydrated. Medications are not always the best line of treatment for accelerated heart rate and are only used in an emergency, under a doctor’s supervision. Anti-arrhythmic or beta or calcium channel blockers are commonly prescribed for sinus tachycardia (heart rate more than normal) (14). Next, we answer a few commonly asked questions about accelerated heartbeat during pregnancy. 1. How high can your heart rate go when you are pregnant? According to the American College of Obstetrics and Gynecology (ACOG), the heart rate of pregnant women should not exceed 140 bpm (which tends to happen during rigorous exercises) (15). 2. Does fast heart rate indicate a boy or girl? No studies suggest that maternal heart rate indicates the gender of the fetus. It is only an old wives’ tale that fetal heart rate above 140 bpm indicates a girl, and below that indicates a boy (16). 3. Can increased heart rate affect the baby? Increased heart rate is a healthy physiological change during pregnancy, and is not known to affect the baby. A faster heartbeat during pregnancy is a part of the naturally changing body. It is harmless, but that does not mean you should ignore any associated symptoms. Talk to your doctor if you see any unusual signs and symptoms to understand the actual cause. Get enough rest, and stay away from all possible stressors. If you have any experience to share or any remedies that helped you, write to us below in the comment section. 9th Month Pregnancy Diet - Which Foods To Eat And Avoid? 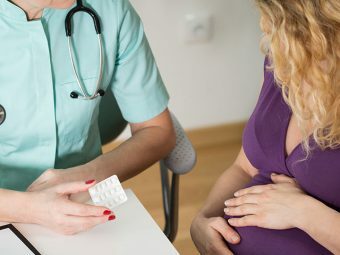 Is Imitrex (Sumatriptan) Safe During Pregnancy? 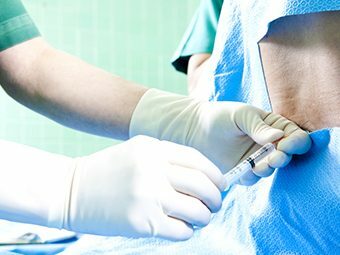 Is It Safe To Perform Lumbar Puncture During Pregnancy?